Fairy Shell Chair for Merriment Mini Fairy Gardening. Full Description: Mermaids need a place to sit, too! 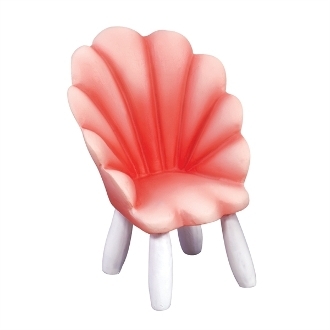 This underwater-safe shell chair makes a sweet addition to any beach or under-the-sea themed miniature garden. Made of resin with all-weather paint.